Danielle Maclean. Thursday Island/Darwin. 28 mins. 2017 marked the 25th anniversary of the Torres Strait Flag. For Bernard Namok Jnr, Bala B, the flag is a poignant reminder of home, family and the father he hardly knew. Bernard Namok Senior won the flag design competition in 1992 but died a year later at just 31, leaving behind his wife with four young children. Journey across the Torres Straits with Bala B to honour his fathers legacy. 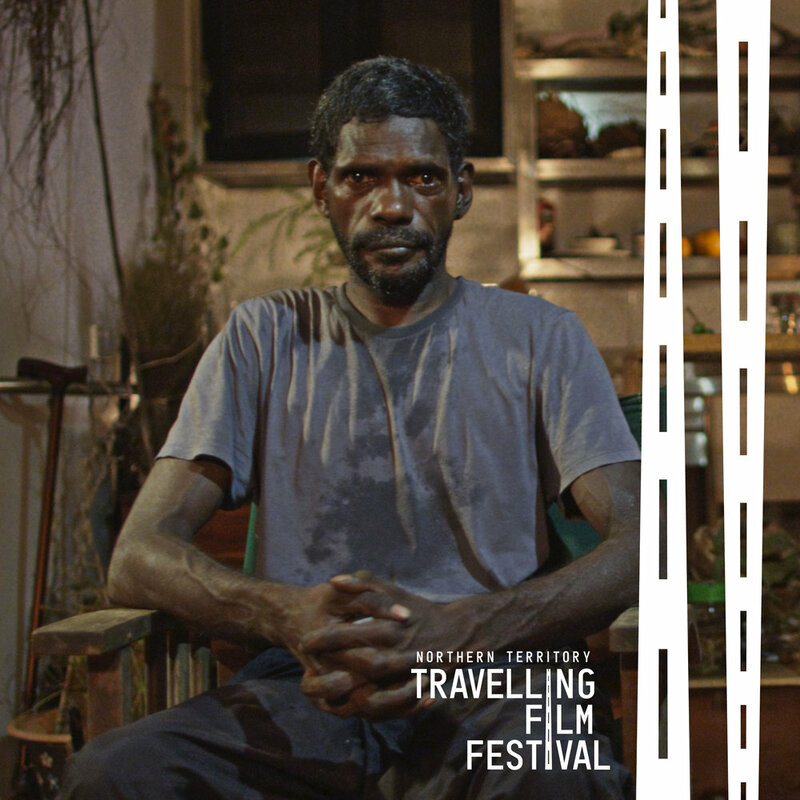 A rich and powerful story of a man whose design created meaning for a people once invisible to mainland Australia, the people of the Torres Strait. Nik Lachajczak. Groote Eylandt. 14mins 52sec. Anindilyakwa man, Steve 'Bakala' Wurramara is afflicted with a profound hereditary neurodegenerative disorder. While modern medicine looks for answers, the stories of an ancient curse and black magic still permeate this remote Aboriginal community in Far Northern Australia. Bakala enlists the help of his daughter to search for a cure from the traditional bush medicines in the land, desperate to find an answer before she too is diagnosed. As his desperation grows and his disorder takes an ever greater hold, Bakala realises he must fight this ancient curse to unlock the secrets of his Ancestors. Matt Garrick and Mark Roy. Darwin. 10mins. Sumatra follows a downbeat nightclub singer named Frank Sumatra as he is unwittingly drawninto a dark web of intrigue, violence and coconut daiquiris after a fateful meeting with a bartender tumbles into a sinister murder mystery set around the dusky poolside bars of the Top End. When underwear goes missing from clotheslines across Darwin, police investigation leads to a surprising twist. This film is based on a true local story and makes for a quirky Top End comedy. Maria Reynolds and Lee Frank. Lake Bennett. 9mins 32sec. Two mates fish off the bank of a Top End river and snag a prized lure. A piece of proverbial, you’d say, but only an hour before they spotted a 3m croc and something else is dark and nasty and lurking between them. This songline runs from Croker Island to the Katherine region and takes in central western Arnhemland. It is the story of Emu as an old woman, her greed in not sharing food with her grand children, the way they tricked her out of necessity so that they could eat food themselves, her revenge on them by hurling a throwing stick at them, and the way it comes back to lodge in her throat, precipitating her change into an emu, and the transformations of her children into different birds. Dylan River. Jay Creek. 8mins. 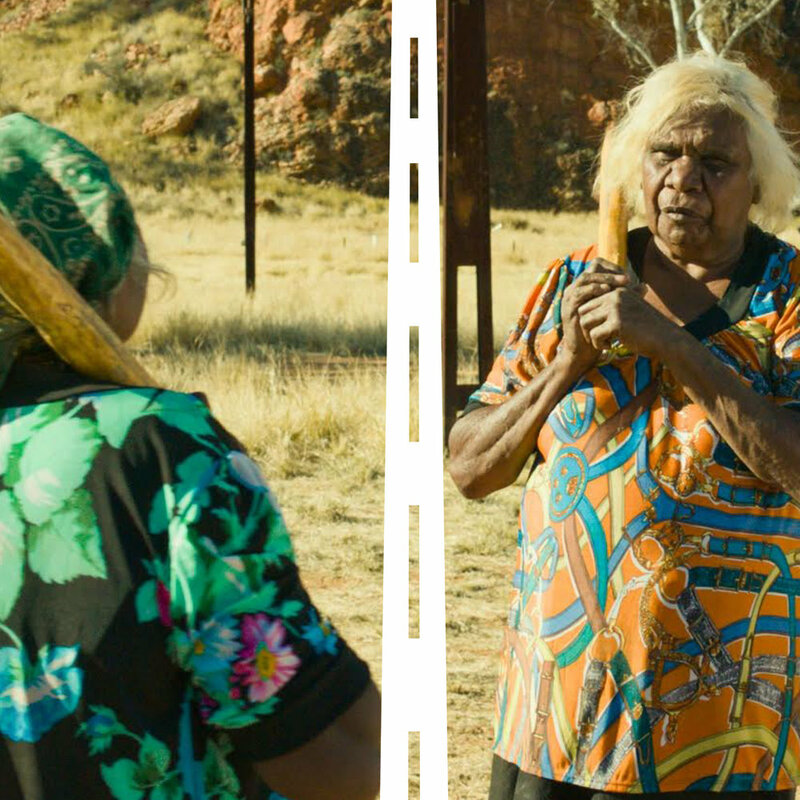 Alice Springs based filmmaker, Dylan River’s comedy short follows a naive white cop fresh from the academy as he experiences his first taste of life in an aboriginal community. Premiering at the Berlin International Film Festival, Nulla Nulla’s cheeky and dry Australian wit and masterful cast makes this a must-see. Jane Hampson and Dixi Joy Bankier. Darwin. 9mins. It’s almost midnight at THE MT NEWS. Jo and Ted are two hack journalists desperate to go home, but their new boss Ed won’t dismiss them without a dead-body story for the front page. Normally not a problem. Someone always dies somewhere on the planet, right? Well, not tonight. This is the one night on earth when nobody has died, anywhere. Will Jo and Ted find a front-page story? Or will they be stuck at their desks ... forever? Desperate times call for desperate measures in this offbeat comedy that satirises all that is ’news’ in our Post-Truth Age. Cyclone Tracy has gone down as one of the most devastating events in Darwin history, with thousands displaced and injured, 71 killed and 80% of Darwin’s houses wiped out. A boy seeks his missing father in this short film set during the cyclone’s aftermath.